A Substantial, Highly Impressive and Extended Family House in favoured residential location | Reception Hallway | Sitting Room | Sun Lounge | Formal Dining Room | Family Room | Fitted Kitchen/Breakfast Room | Cloakroom/W.C | Ground Floor Double Bedroom | 4 Double Bedrooms (three on first floor including master bedroom suite with separate dressing/sitting area and large en-suite shower room/W.C) | Large Family Bathroom | Large Converted Loft Room/Office/Playroom | Driveway Parking | Tandem Garage | Utility/Work Shop | Front Garden with raised paved sun terrace with sea view | Good Sized Rear Garden | Fully Enclosed Heated Swimming Pool area | Changing Room/Pump Room | Gas Central Heating | UPVC Double Glazing | Viewing Highly Recommended. This superbly presented and impressive four bedroomed semi-detached family house occupies a favoured residential position in the Lower Preston area close to Oldway Mansion and school and within just a 1/3 of a mile from an excellent range of shops including small supermarkets and facilities at Preston and good access to the ever popular Preston Sands. 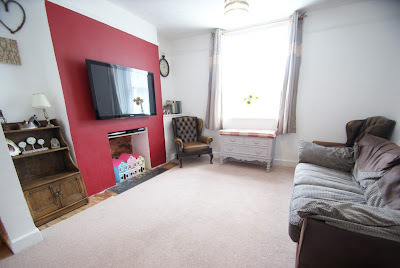 Features of the accommodation which is a credit to the vendors and has been extended in recent years includes a spacious reception hallway, sitting room opening to a sun lounge which in turn has French doors leading to the rear garden. There is a formal dining room plus large family room which opens to the superbly fitted kitchen/breakfast room which also has access to the rear garden and the family room gives courtesy access to the tandem garage and lower ground floor workshop/utility. On the first floor there is an impressive master bedroom suite comprising of bedroom with French doors to a rear balcony, separate dressing/sitting area and central en-suite shower room/W.C (Agents Note: This suite could be divided to create two bedrooms from the original suite). There is a further large double bedroom created from the original first and third bedroom and yet another double bedroom. 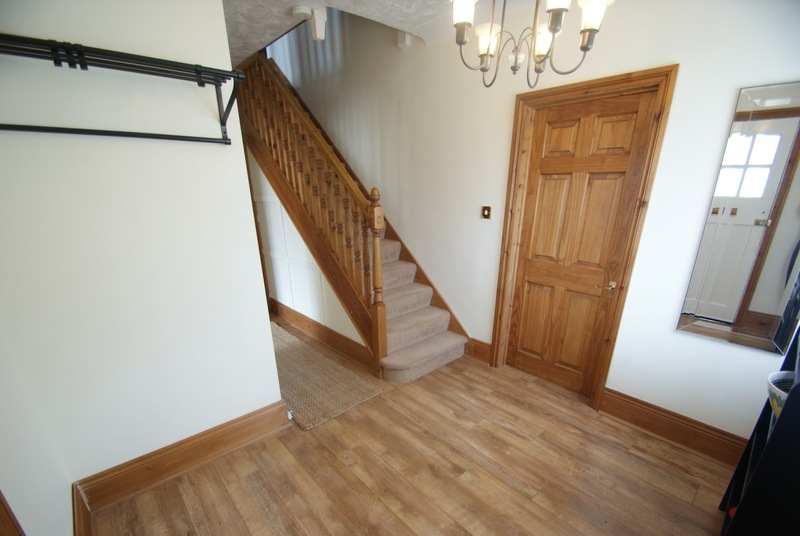 Also on the first floor is a particular spacious bathroom/W.C and there is a staircase from the landing to the converted and again spacious loft room which is ideal for use as an office/playroom/hobbies room etc. Outside there is driveway parking with attractive steps and pathway leading to the front door and adjacent paved sun terrace affording views across the area towards Torquay. The large tandem garage also gives access to a workshop/utility and staircase for convenience leading to the family room. To the rear of the property is a good sized rear garden with lawn, concreted areas and a fully enclosed pool area featuring a 25ft in ground swimming pool with paved terracing to the side and raised terraced area with room for patio table and chairs and fine sea views in the distance. There is also a most useful brick built changing room/pump room. An internal inspection of this gas central heated and UPVC double glazed property is highly recommended to fully appreciate the size, quality and flexible nature of the accommodation. 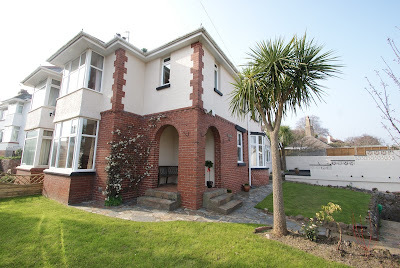 Williams Hedge recently sold our house in Broadsands, Paignton. 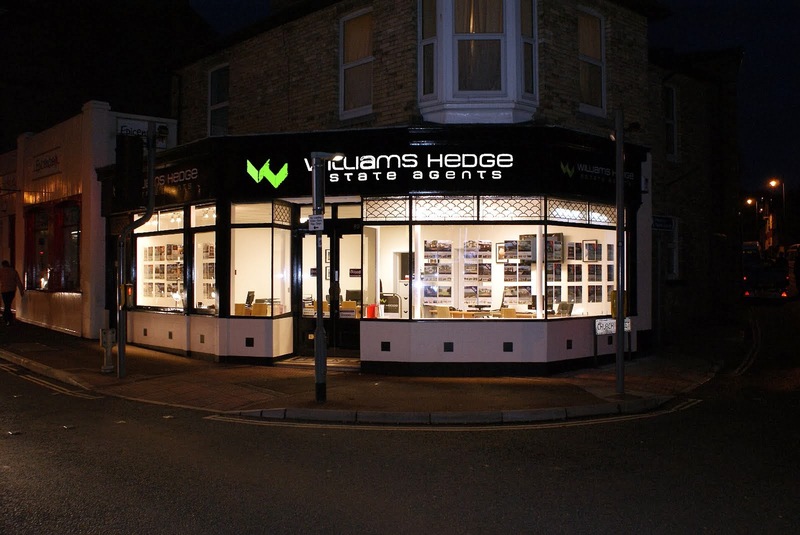 We have bought and sold a few properties in our time, but the service we received from Williams Hedge was definitely the best we have had from an estate agent. 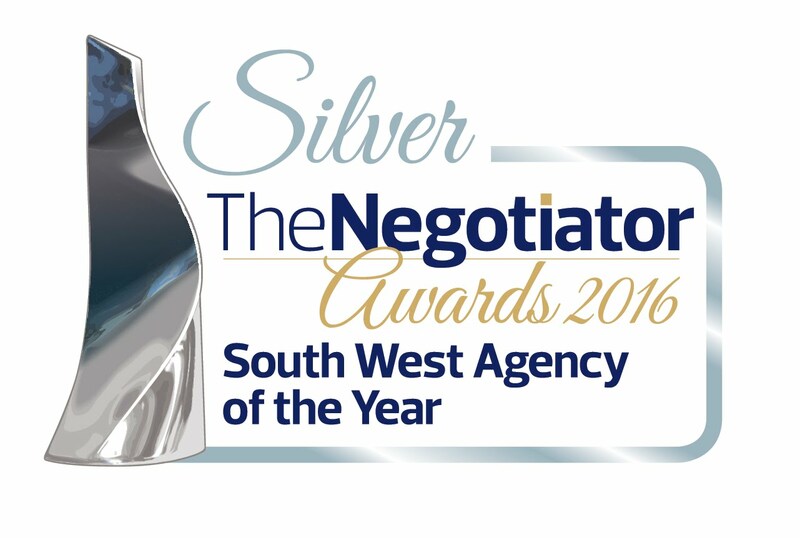 Jon Williams handled the sale from the valuation to completion, assisted by his staff, especially Suzanne. When he came to value the property, he impressed us with his knowledge of the area and his experience, but even more helpful was the fact that he listened to our views on the value of the house and so together we reached a price with which we were all happy. Our house was at the higher end of the market but we soon had viewings. The prospective buyers were all seriously interested and, though we didn’t meet them because Williams Hedge handled all the viewings for us, Jon and his staff gave us prompt and full feedback on each viewing via email. We were also given monthly feedback of the statistics of viewings of our house online from Rightmove and other sites. Fortunately for us, the house sold fairly quickly. It should have been a straightforward and easy sale as we had no upper chain and there were only two other buyers in the chain below our buyers. However, the proceedings were protracted and exchange of contracts was constantly promised but never happening. Neither Williams Hedge nor our solicitors were being given credible reasons why. 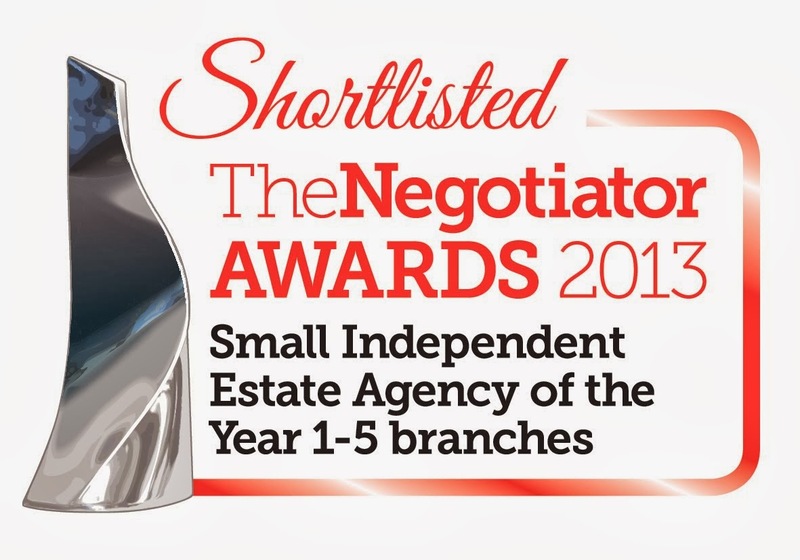 It became extremely stressful as our buyers had reasons for wanting a quick completion, to which we had agreed but of course until we had exchanged, completion dates were only provisional. We spent two Fridays in succession waiting by the phone for news so that we could action our removal company and inform utilities companies etc as soon as contracts had been exchanged, ready for a completion which was planned to happen a mere three-four days after exchange each time. Exchange failed to happen both Fridays for reasons which were a mystery to us, Jon and our solicitors. Jon and his staff spent literally hours phoning agents and solicitors all the way down our chain to find out the reason for the delays each time. This went on for about three weeks. Jon also supported us with much kindness through this very stressful time. We have moved away from Devon now so will sadly be unable to use the services of Williams Hedge again, but we highly recommend them to others. 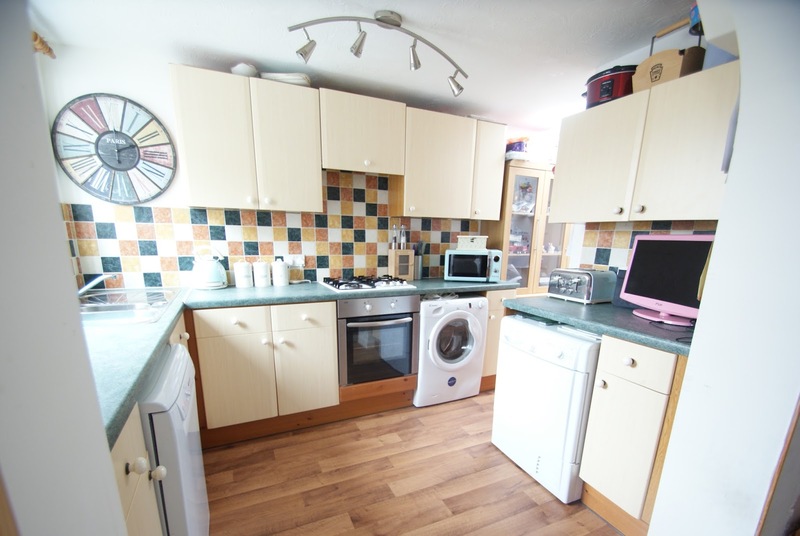 A three bedroom spacious mid-terraced house arranged over two levels. The ground floor comprises an open plan large lounge/diner to the kitchen/breakfast room. 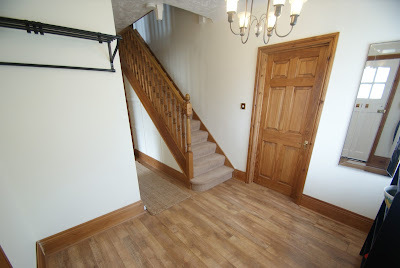 The first floor offers three bedrooms, (two doubles and one single) and a shower room. 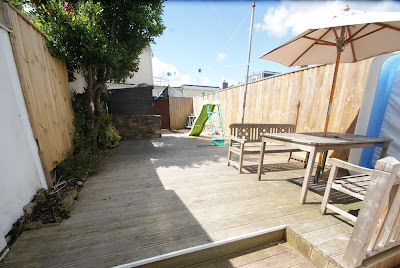 Externally, the property benefits from a patio garden and two allocated parking spaces. Thank you for an excellent service. I have sold a number of properties over the last few years and I have to say that the service provided by Williams Hedge far exceeds previous experiences and exceeded my expectations. I will certainly use Williams Hedge in the future and will recommend you whenever the opportunity arises. I am grateful for your attention and most conscientious efforts. Sorry it's taken me so long to write and thank you and your staff for the excellent service provided by your company, and more particularly, for your personal help in ensuring that we were able to achieve an early completion of the purchase, which in turn solved other matters for us that were pressing for time. We are indeed most grateful. We would have no hesitation in recommending Williams Hedge to any prospective seller or purchaser, and found everybody most helpful and co-operative during the many visits to view the house. May we thank you and your company for the excellent service in the sale of our property. Your company's professionalism and helpfulness together with the friendliness shown by all the staff does you credit. Please thank all those concerned for playing their part. We were so impressed that whoever we talked to knew the current situation and were up to speed on everything. We have no hesitation in recommending your services to anyone. A Substantial Detached House with good sized garden | Entrance Porch | Reception Hallway | Lounge with feature fireplace | Separate Large Dining Room | Modern Fitted Kitchen/Breakfast Room | Large Conservator/Family Room | Utility Room | Ground Floor Cloakroom/W.C | 4 Bedrooms | Bathroom | Separate W.C | Gas Central Heating | UPVC Double Glazing | Larger than average Garage | Driveway Parking | Good Sized Enclosed Rear Garden | Popular Location | Viewing Highly Recommended. This well presented four bedroomed detached family house occupies a residential position within the sought after Lower Preston area close to Oldway Primary School and shops and facilities at Preston within approximately one mile of Paignton town centre which offers a wide and varied range of shopping facilities and amenities. Features of the attractively presented accommodation include and entrance porch plus characterful reception hallway, a large lounge with feature fireplace, separate dining room with French doors leading out to a large conservatory/family room, there is a fitted kitchen/breakfast room, utility room and ground floor cloakroom/W.C. On the first floor there are four bedrooms plus bathroom and separate W.C and the accommodation also benefits from gas central heating and UPVC double glazing. Outside there is driveway parking leading to a larger than average garage, useful underhouse storage area and raised easily maintained front garden. To the rear of the property there is a good sized garden extending to approximately 80ft in length with paved sun patio and level lawn. An internal inspection of this gas central heated and uPVC double glazed property is highly recommended to appreciate the accommodation. We both would like to take this opportunity to say that we thought that the service, professionalism and knowledge that Williams Hedge provided was in one word... excellent! We felt that our property was marketed at the right price and level and that's what sold it in just over one week! Thanks for all your help and support and if we do move again then we know where to come! Conveniently located for nearby amenities and enjoying an elevated situation this spacious period property offers good sized family accommodation with an open outlook across the surrounding area. An attractive storm porch with ceramic tiled floor and brick arches leads to the L-shaped entrance hall and then to the sitting room and dining room both with bay windows and to the comprehensively fitted galley kitchen. 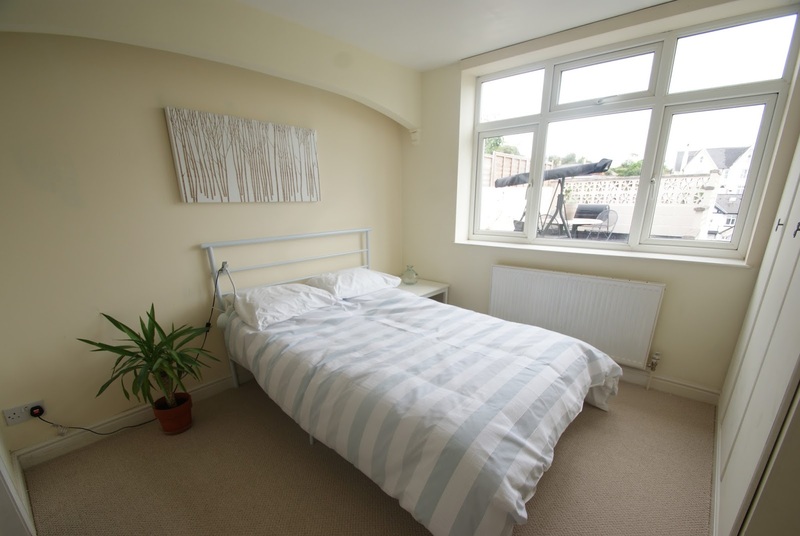 There is also a ground floor bedroom with en-suite wet room which would make ideal student accommodation or provide space for an extended family. On the first floor are three bedrooms, the master with en-suite, a large contemporary bathroom and access to two useful loft rooms. The property is further complimented throughout with uPVC double glazed windows and gas central heating. Externally are enclosed gardens mainly laid to lawn with flowerbed borders and a further seating terrace above the single garage. The garden is enclosed by timber fence and hedgerow and enjoys an open outlook across the surrounding area. An internal inspection is highly recommended to appreciate the accommodation on offer. A Well Presented Detached Residence with three bedroomed bungalow and one bedroom attached house | Bungalow Accommodation with Reception Hallway | Double Aspect Lounge | Open Plan Kitchen/Dining Room | Access to Family/Sitting Room | 3 Bedrooms | Bathroom/W.C | Gas Central Heating | UPVC Double Glazing | Annexe House with Fitted Kitchen | 20ft Lounge/ Dining Room | Double Bedroom | Shower Room/W.C | Double Width Driveway | Landscaped Front Garden | Enclosed Level Rear Gardens with decking & Patio | Garden backing onto Clennon Valley | Gas Central Heating | Flexible Accommodation ideal for home & income/main residence with annexe for dependant relative | Viewing Recommended. This extremely well presented detached residence which comprises of a three bedroomed bungalow and adjoining one bedroomed house is located in a near level location in the lower part of Penwill Way and backs onto open land at Clennon Valley giving access to the valley, leisure centre and also easy access to Goodrington beach which is within just a few hundred yards. The town centre of Paignton which offers an excellent range of shopping facilities and amenities plus railway and bus station is within 2/3 of a mile. Features of this attractive and unusual property which offers flexible accommodation includes spacious and well presented bungalow with double aspect lounge, open plan kitchen/dining room with opening to a family/sitting room overlooking Clennon Valley. There are three bedrooms plus a modern bathroom/W.C whilst adjoining the bungalow is a one bedroomed attached house offering self contained accommodation for home and income or dependant relative and comprising of kitchen with separate lounge/dining room whilst on the first floor there is a double bedroom and shower room/W.C. Outside there is driveway parking for up to four vehicles and landscaped front garden whilst to the rear is an enclosed rear garden arranged mainly to level lawn with patio area, two raised sun decks and access to Clennon Valley. An internal inspection of this gas central heated and uPVC double glazed property is highly recommended to appreciate the size and flexibility of the accommodation on offer. Ocean View is a converted block of eight apartments set in communal grounds with excellent sea and coastal views in the sought after location of Roundham. The complex is situated within close proximity of Paignton harbour, sea front and provides level walking distance into town. Offered for sale with commanding sea and coastal views this ground floor apartment has an added advantage of a private patio adjacent to the lounge/dining room. Internally the accommodation has a generous lounge/dining room, fitted kitchen, utility room, bathroom and 2 bedrooms with master en-suite. There are two allocated parking spaces to the rear of the complex with 10 paces to the private patio. 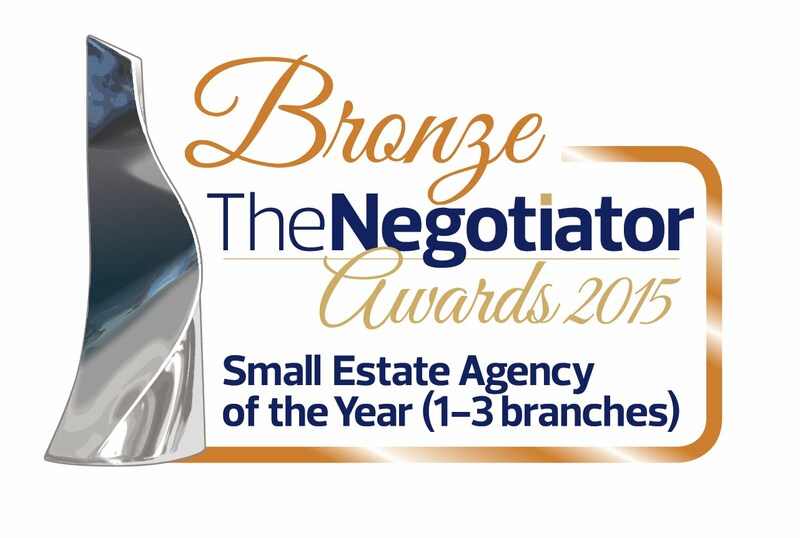 I have been very impressed with the efficient service that I have received from Williams Hedge in purchasing a house. They constantly kept me informed regarding the progress of what was happening. They were very helpful with all the queries. I really appreciate the support and helpfulness that I was given. A mid-terraced period property in a convenient location which has been upgraded by the current vendors to provide comfortable living and offers good reception space to the ground floor and three bedrooms, a bathroom and a study on the first floor. Outside is a garden area to the front with a low maintenance enclosed garden to the rear. A viewing is highly recommended in order to appreciate the accommodation on offer. A beautifully presented tucked away detached bungalow set in a desirable area of Torquay. 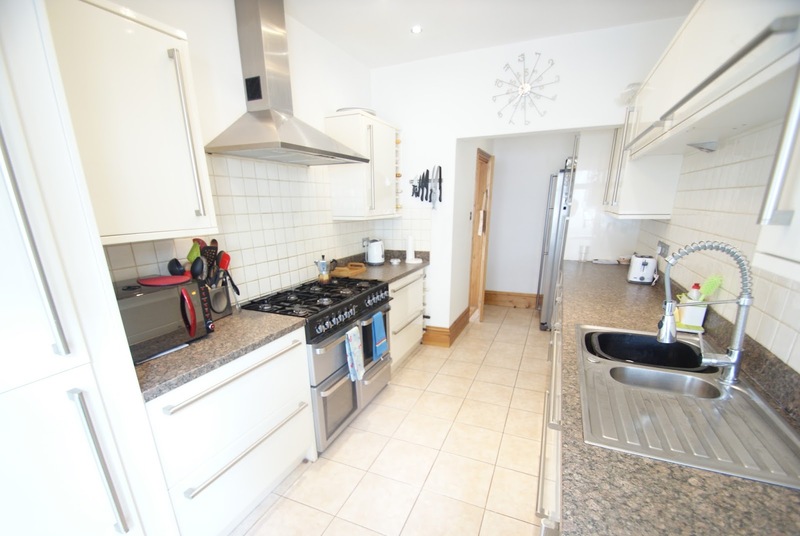 Internally this property offers lounge/diner, kitchen, recently fitted bathroom and two bedrooms (one large double and smaller double). Beautiful features throughout such as vaulted ceilings and exposed beams. Externally offers an easy maintenance patio area, fully enclosed with electric gated entrance, parking for several vehicles and a detached garage. No chain. Viewing recommended. We would like to offer our many thanks to you and all your team for your help, kindness and efficient way in which you dealt with the sale of our property. We were so glad that we chose your company to handle our business. Once again our many, many thanks.